Ningbo One Set Import & Export Co., Ltd.
5.The large products label and price tag can be putted in bins to show the details more clearly . 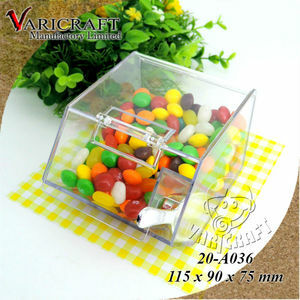 6.Suitable capacity and the size perfect for the demand widely for candy& dry food &spices. &spades; Export countries: Europe ,South America,Eastern Europe,Mid East Australia,United Stated. 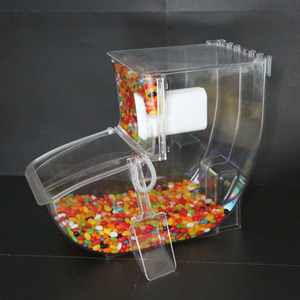 Yuyao More Dollar Electrical Appliance Co., Ltd.
New product clear acrylic candy dispensers with scoop 1.item: clear acrylic candy dispensers with scoop 2.meterial:acrylic,PMMA,perspex,plastic 3.size&color:customized fo your products. Advanced production machinery ,the crafts include:laser cutting,polishing,printing, bending,water milling,gluing etc. 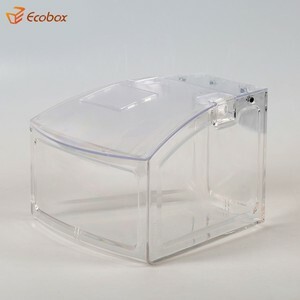 4.W e can supply excellent quality and factory price products, well packaged to protect items demanding. 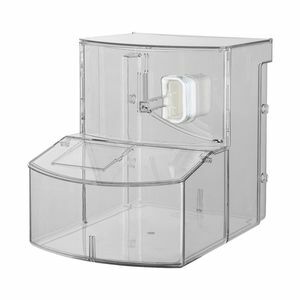 ,Ltd is an innovation-oriented company, specializing in the manufacturing, design and marketing of products for airtight storage containers. And it can realize more convenient operation and release your hands in lid&rsquo; s opening & closing. 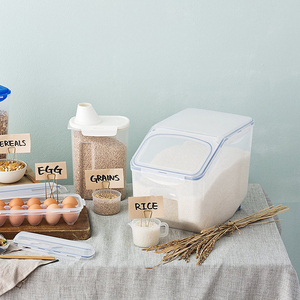 Ankou food storage containers can be widely used in milk powder storing, dry food sealing and fresh food keeping. If you have any questions about the problem, contact with us, we will offer the solve way for you. Q: Do you provide sample9 Is it free or extra9 A: Sure, our samples could be sent for evaluation at any times. B: Payment&lt;=2000 USD, we&rsquo;d like to receive the whole amount in advance because of handling charges. 4.We will keep secret for customer sale area,design ideas and all other private information. 1 , Q: If I only have the pictures of the display stand or counter I want, can you make it for me9 A: Dear sir or madam, just having images of the product, it&rsquo;s difficult for us to quote exactly. If you could offer the drawings or designs with detailed dimensions, materials, finishing, we could offer the best price to you, thanks very much!
" Recycling and composting These leaf scoops are excellent for transporting and spreading compost and mulch. Sized perfectly to fit all yard bags and trash cans, the closed scoop design keeps small items from slipping out. Use one as a rake to gather stray leaves to stack for easy bagging or mulching. 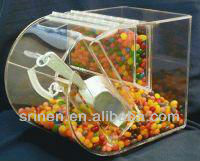 Alibaba.com offers 46 scoop bins design products. About 41% of these are storage boxes & bins, 2% are waste bins. 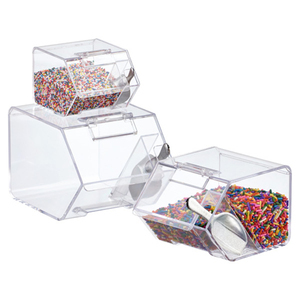 A wide variety of scoop bins design options are available to you, such as free samples, paid samples. 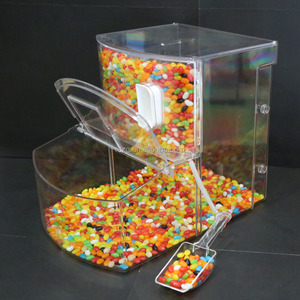 There are 46 scoop bins design suppliers, mainly located in Asia. 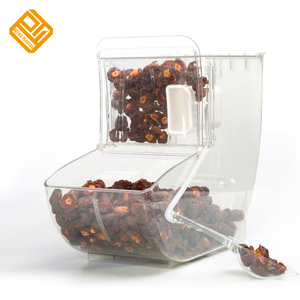 The top supplying country is China (Mainland), which supply 100% of scoop bins design respectively. 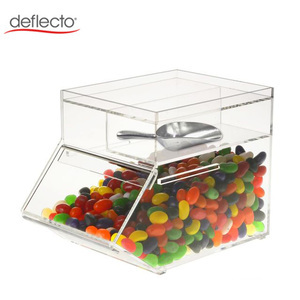 Scoop bins design products are most popular in North America, Western Europe, and Oceania. You can ensure product safety by selecting from certified suppliers, including 11 with ISO9001, 3 with SA8000, and 2 with Other certification.